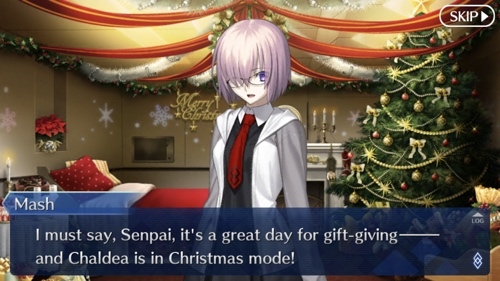 Clara and I both played the Fate/Grand Order Christmas event in the English version of the mobile game last year, but the repeat was even more fun this time on account of having more servents and experience. 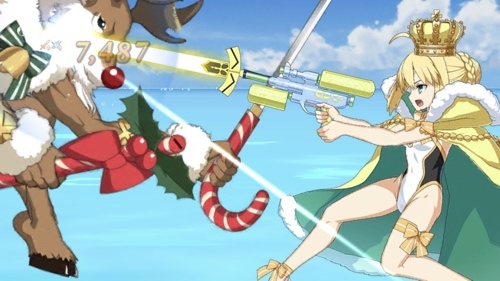 I don’t know what was more surreal, having Altria Pendragon Archer battling a candy cane sword wielding evil reindeer with her glowing water pistol. 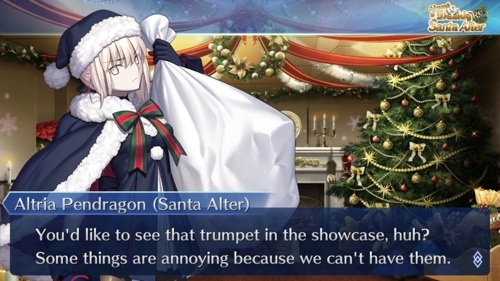 Or receving life advice from Saber Alter who’s somehow Santa again, beacuse of course she is. 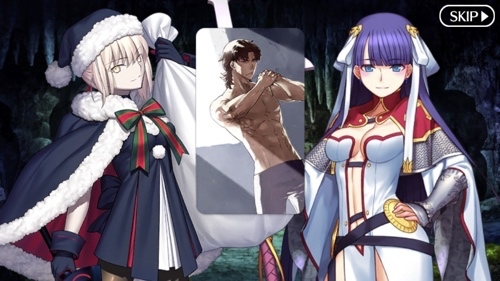 But Martha got what she wanted. Careful with that craft essence, it’s ripped.